We are excited to announce our Skillbuilder quilt for 2019! This beautiful scrappy quilt is going to teach you multiple techniques to add to your bag of tricks. Applique (hand or machine), traditional piecing, foundation piecing, strip piecing, it's all going to be so much fun! Click here for program details, then chat with one of our staff to get your name on the list! 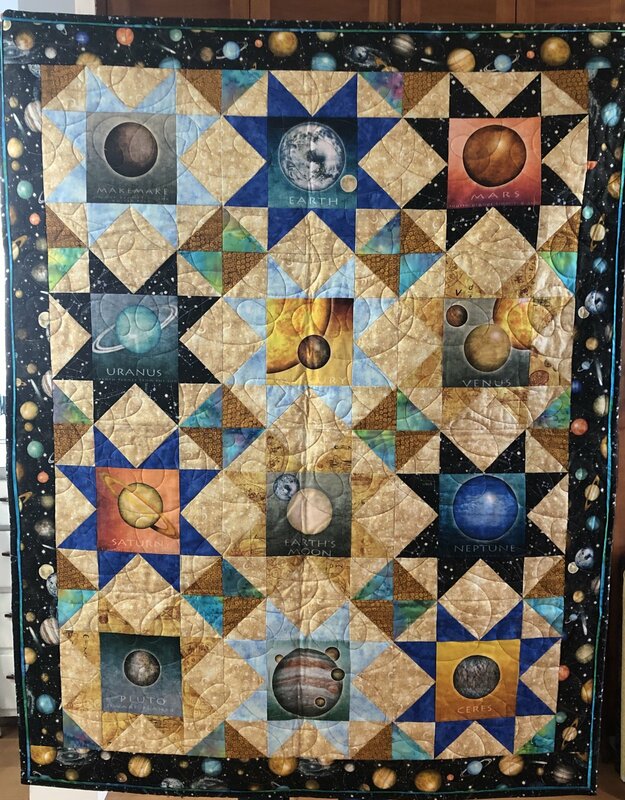 This quilt is perfect for a budding astronaut or space fan! Sold as a kit, it utilizes a panel with the printed planets and a selection of coordinates. Backing available separately. Isn't this quilt amazing? 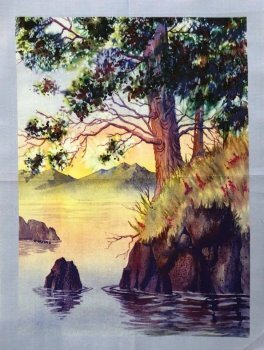 Over the course of 10 months you will receive all blocks and border fabrics to complete the top for this 96x104 masterpiece. Periodic mini classes will be available to help you along the way. $50 deposit, $20.99/month. UPDATE: This round is full, if you still want to participate let staff know and we will consider a Round 2. Beautiful Dreams kits are here! This beautiful quilt is now available as a kit with the new digitally printed Diaphanous line of fabric by Jason Yenter. Come see the sample hanging in the shop and grab your kit before they're gone! 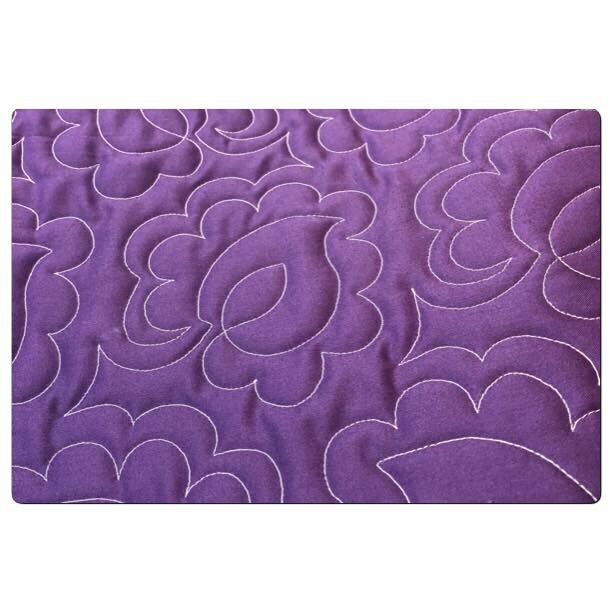 The fabric is so soft you won't be able to resist! 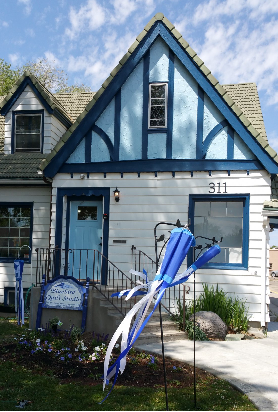 We are a full service quilt store in downtown Nampa, Idaho.We offer inspiration, encouragement and instruction for fledgling and "free flying" quilt artists. 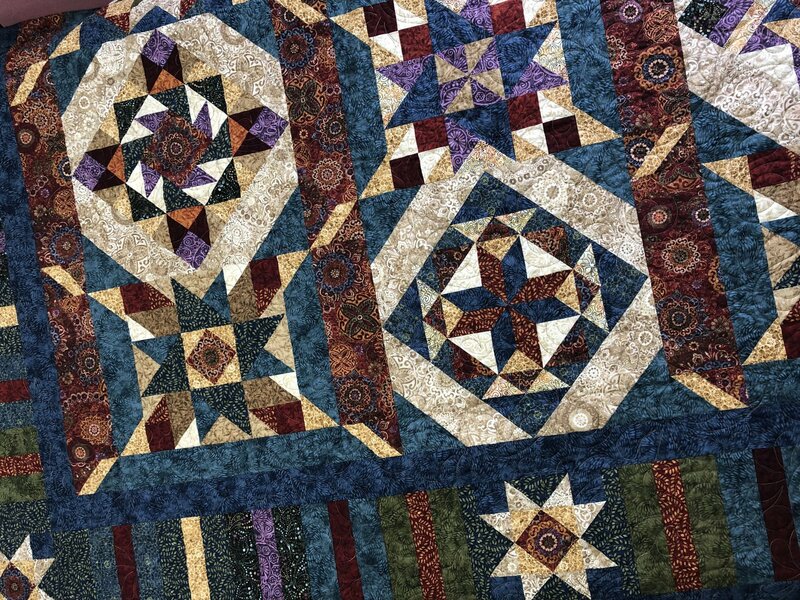 We have a wide range of quilting and sewing classes for all ages and abilities and a beautiful long arm quilting machine that we share with our quilting sisters. 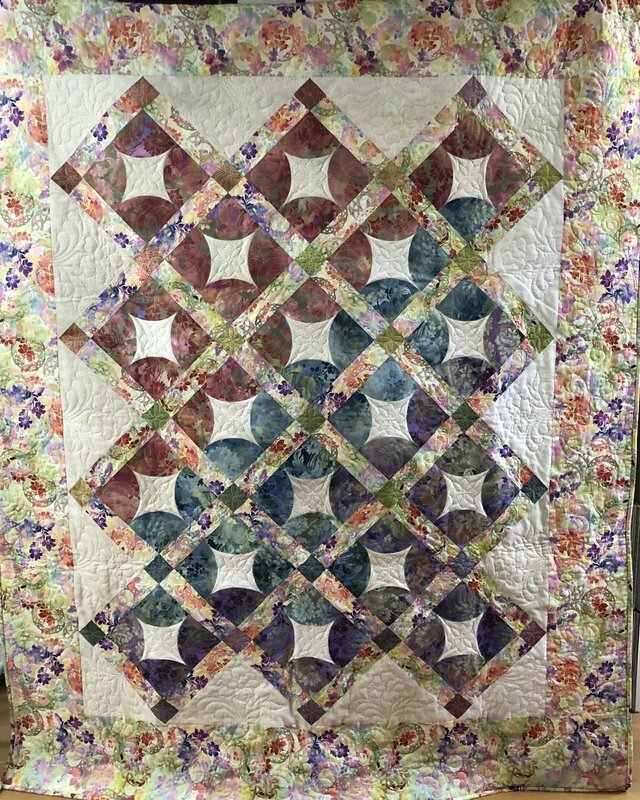 Custom long arm quilting services are available including binding and completion of those treasured heirloom quilts to be enjoyed for generations to come. Join us! Finish Your Quilts On Our Long Arm! 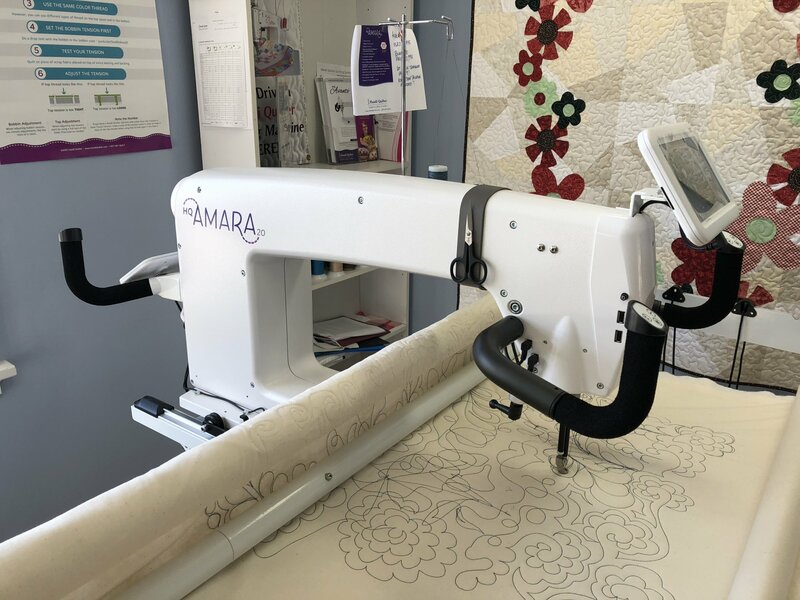 There's a new addition to our studio, the new Amara from Handi Quilter! This is a wonderful machine with 20" of throat space to do beautiful wide designs and pantographs. We offer beginner classes on the long arm to learn the basics of loading quilts, running the machine, and working with pantographs. We have a selection of pantographs and thread for rental use (or you can bring your own). Classes are 1st and 3rd Mondays, and 2nd and 4th Thursdays, call the shop to arrange a time slot. $50 2-3 hour class, 2 people maximum per session for personalized instruction. Future rental time is $20 per hour or a 10 hour punch card for $150. With extended hours on Thursday evening until 7 p.m.
(and for classes during scheduled class times). Note: GPS systems may direct you to our former location. We are approximately one block from our former location on 14th street South. We are pleased to be the only source outside of Alaska for these beautiful landscape panels. 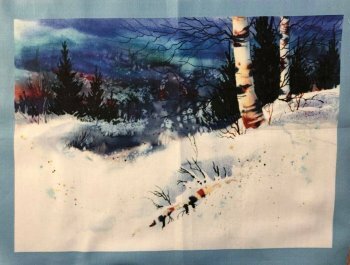 Designed specifically for Idaho by Alaska designer Teresa Ascone, these cotton panels are digitally printed and are 10 x 14 inches. We just received a new shipment and have found a beautiful ombre coordinate that looks amazing with them. Stop in to see our sample! Long Arm Classes Now Available! Want to improve your long arm skills? We have three new classes to help you! Pantos Plus, Thread Buffet, and Beginning Ruler Work. If you don't see it on the class page right now call the shop and when we have 2-3 people we can get it scheduled. Get ready to take your meandering to the next level! Splendid Sampler II is coming! 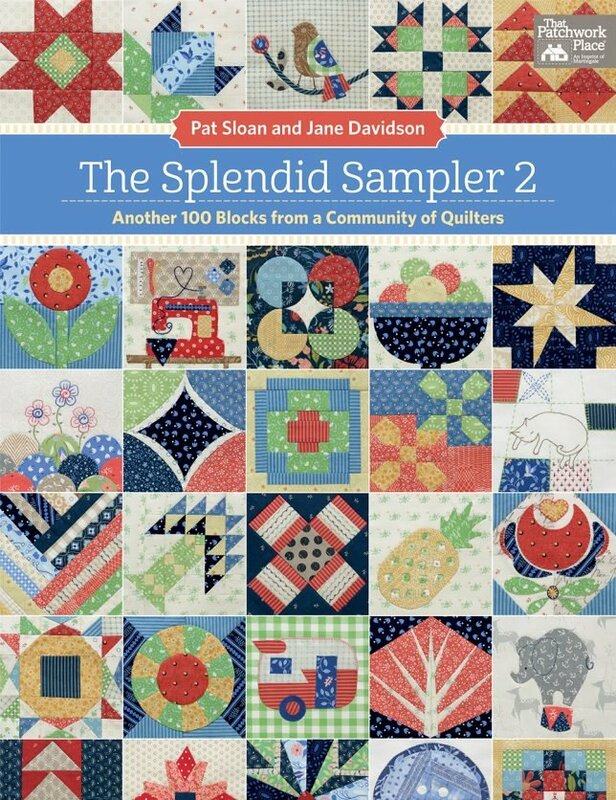 Splendid Sampler II is here! We had so much fun with the first series, we've decided to keep going! We will meet on the first Saturday of each month at 10:30am. Splendid Sampler 1 and Farmer's Wife blocks will also be discussed. 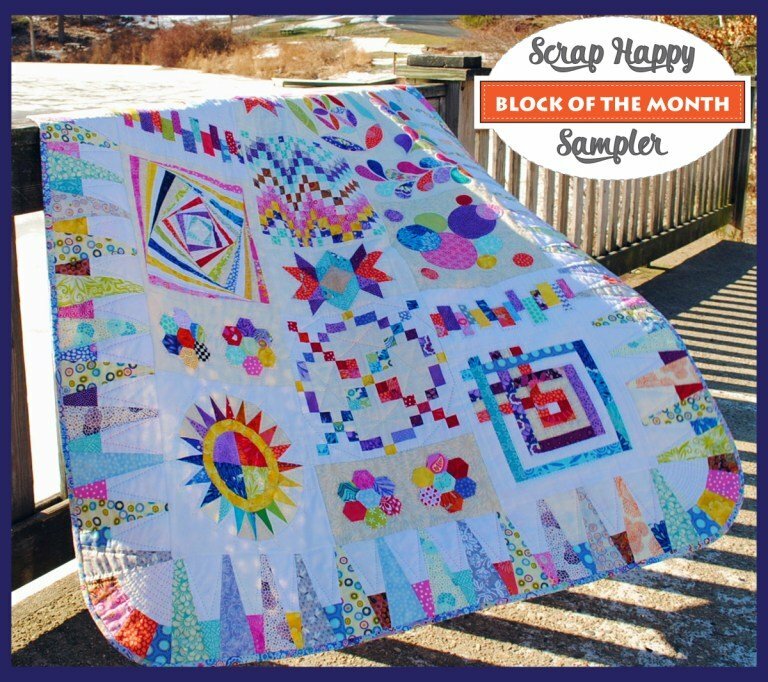 You can sign up for the Splendid Sampler book (shown above) and get started with the first of 20 blocks that will be published before the book release. See our class list for more meeting details.